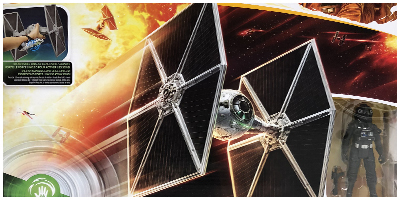 Rebelscum.com: Hasbro: Force Link 2.0 Imperial TIE Fighter Hitting Canadian Walmart Stores! 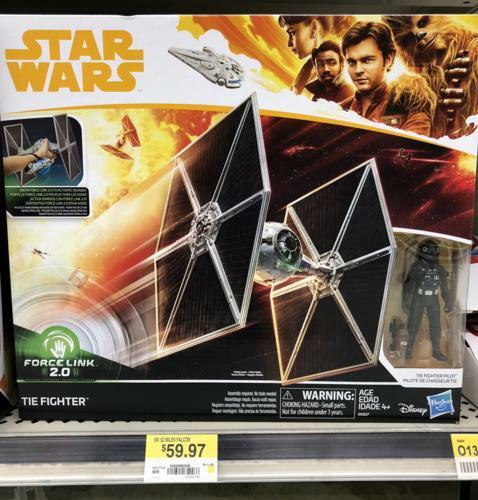 Hasbro: Force Link 2.0 Imperial TIE Fighter Hitting Canadian Walmart Stores! Once again, Canada is the place to be for the latest Hasbro Star Wars offerings. The Force Link 2.0 Imperial TIE Fighter includes a 5POA pilot figure which appears to be the same as was included in the Rogue One TIE Striker, but with updated helmet deco. In addition to the pilot, the vehicle includes firing projectiles and a "Blast-Off Wing" feature. July 2, 2018 Hasbro: New Star Wars Universe Force Link 2.0 Figures And Vehicles Revealed! June 25, 2018 Hasbro: New Star Wars Universe Force Link 2.0 Solo Vehicles!